Start your letter by indicating your official names .address and date. Remember to clearly state the name and official address of the receiving party. 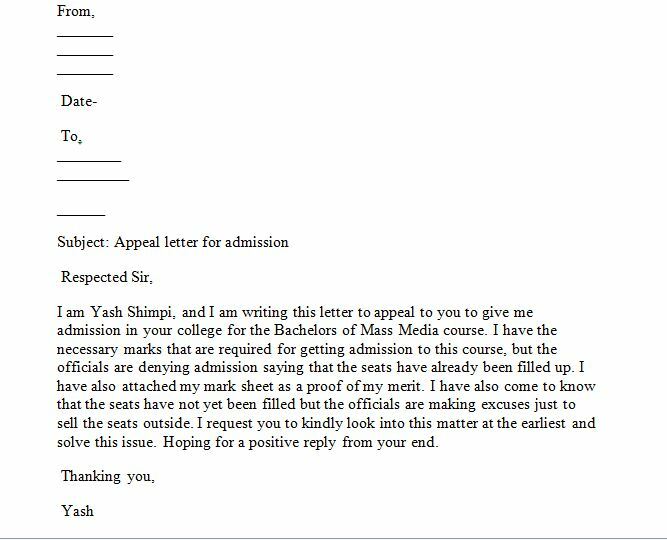 The subject line /reference of your appeal letter should clearly state the reason of your writing. Start your first paragraph by introducing yourself and the reason as to why you are appealing. Use simple but captivating words. Do not forget to be respectful no matter how hurt you feel. Be confident and clearly state your facts. Indicate something that you can proof. Clearly explain the details that surrounded the situation that led to an unfair judgment against you. Remember anything that can help you get off the hook is worth mentioning. Conclude by thanking the reader for taking time to read your letter of appeal and indicate their timely response is highly appreciated. Sign off your letter with your official name and signature, Remember to use phrases such as “yours truly, yours faithfully, yours sincerely” as you sign off.